William Ward was a coal merchant who served as Mayor of Oxford in 1851/2 and again in 1861/2. In 1885 he gave this drinking fountain to the City. 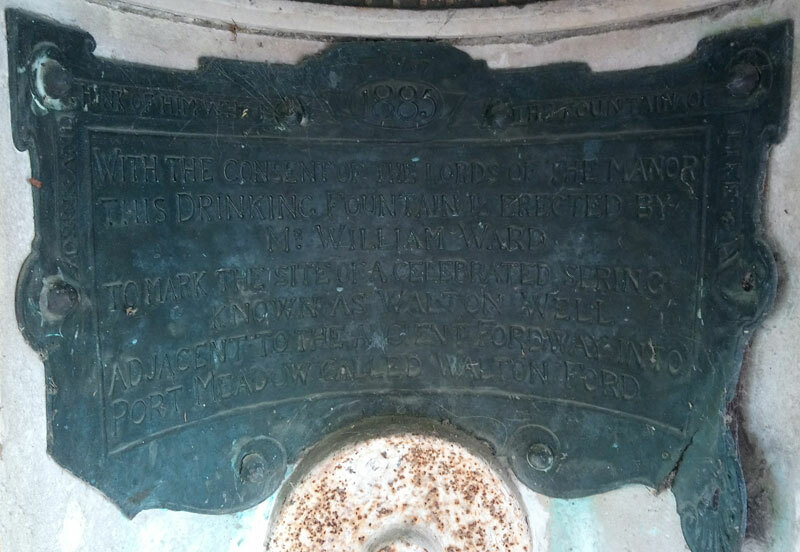 A new drinking fountain has lately been erected at the sole cost of Mr. William Ward, at the angle of Walton Well Road and Southmoor Road, and handed over to the Local Board, as announced in these columns a few weeks ago. 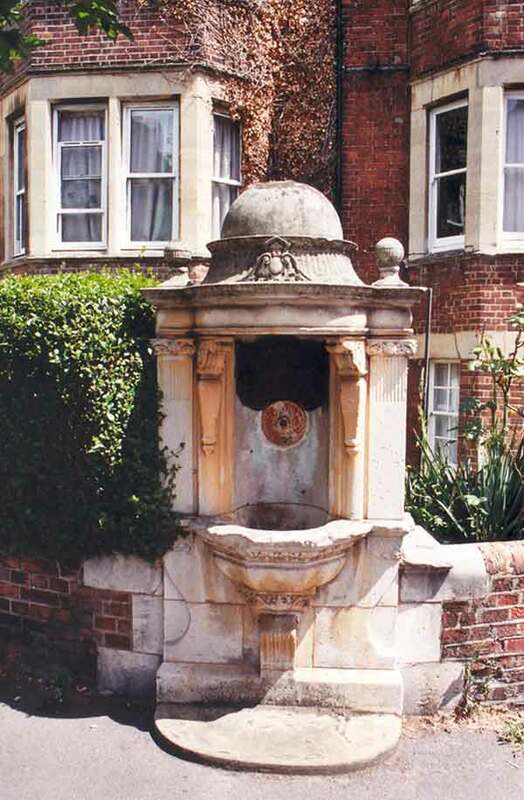 The fountain is designed in the classic Rennaissance [sic] style, with a circular outline, the top being finished in the form of a dome, and capped with an ornamental vase. At the sides small flanking pilasters are placed, partly fluted and decorated with a quasi-Ionic capital, and tetminated [sic] with a ball ornament. The projecting portion of the basin, which follows an octagonal outline, springs from a well-shaped console, and is enriched with a band of carved ornament. The water is delivered through a grotesque head cast in bronze, which is fixed in connection with an inscription plate, formed of hard hammered copper, with raised lettering and ornamental scrolls. The stone used is Portland, Mr. Clifford, of St. Aldate's, who carried out the work, being most careful in the selection of the blocks, the top, the body, and the basin being each formed out of a single stone. Messrs H. Wilkinson and Moore, of Beaumont-street, are the architects, and the elegant design has been the subject of many encomiums.